Reel Talk Online: A Few Thoughts on Lupita Nyong'o's Upcoming Project, the Film Adaptation of Chimamanda Ngozi Adichie's Novel "Americanah"
A Few Thoughts on Lupita Nyong'o's Upcoming Project, the Film Adaptation of Chimamanda Ngozi Adichie's Novel "Americanah"
So, remember when we were all collectively sweating over Oscar winner Lupita Nyong'o's virtually bare list of forthcoming films on her IMDB page? Well, you may have heard by now that the actress (and bonafide magazine cover superstar) has since been cast in an as yet "undisclosed" role in Star Wars VII and the live action remake of The Jungle Book. But the news that I remain most fascinated by, and which received far less attention, was her buying the rights to star in and produce the film adaptation of bestselling author Chimamanda Ngozi Adichie's (Half of a Yellow Sun) newest novel, Americanah. Why? Well, for a number of reasons. The first being that it's a black fiction dramatic narrative inspired by a book, the type of movie that is so desperately lacking in the Hollywood mainstream in which biopics and comedies are currently taking precedence. The second is that we will finally see Nyong'o in a lead role, playing a complex, opinionated yet vulnerable character that will undoubtedly have an equal ability to comfort as well as alienate audiences. And I can't wait for it. It's not that I particularly love the book, however. I've recently finished reading it and while I really like a lot about it, including the fact that it's such a bold statement on how we see ourselves, at times it seems overstuffed. I love Adichie's eloquent writing style, and her natural ability to draw readers into the story of Ifemelu, a young Nigerian woman who relocates to the U.S. to advance her education and finds romance, a complicated social and racial bureaucracy and that the pursuit of happiness has multiple setbacks along the way. 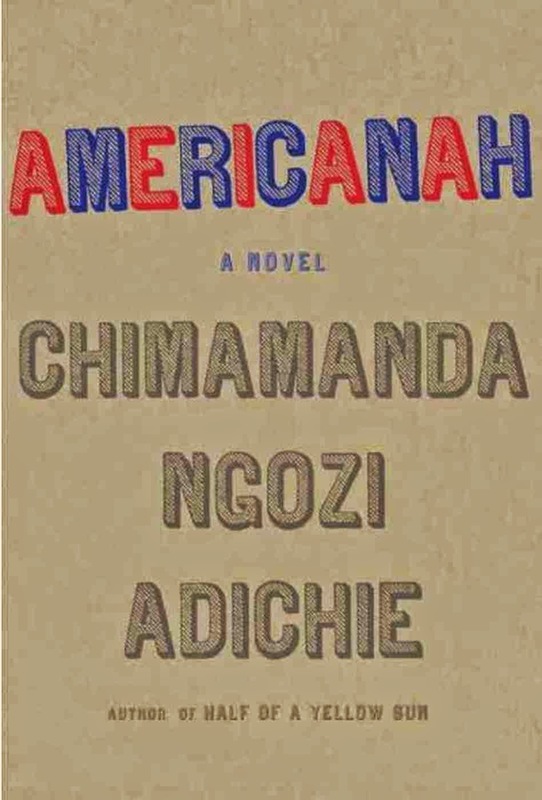 At its best, Americanah is an engrossing coming-of-age story that is intertwined with a winding, intermittent long-distance romance that is reminiscent of many classic literary love affairs in both structure and language. Where the novel falters is in its desire to be so many things at once, which has left me really curious about how the feature film will eventually take shape and how it will be focused. While the two main characters, Ifemelu and her faraway love, Obinze, are deeply realized in their perspectives on life, literature and the institution of race as they travel to lands by which people are defined by it, there is a third voice in the story that often overpowers them both--Adichie. A widely celebrated author whose thoughts and racism and feminism has captivated readers and fans across the globe, Adichie here compiles her thoughts on American racism through the keyboard of Ifemelu, a part-time culture blogger whose online observations on race, written anonymously, become a haven for her (and her many readers) to openly express what it means to be an African immigrant in the U.S., a black American in the U.S., and a white person in the U.S. They're all valid points that will certainly incite think, applause or, yes, maybe even condemnation. But this commentary may have been better presented as part of the frequent dialogue Ifemelu has with her friends while in the U.S. Her friends, notably all of whom she knows through American boyfriends, opine on similar topics during which Ifemelu rarely chimes in with a response, choosing to reserve it for her blog instead. This narrative technique clunkily adds a third main character to an otherwise well drawn story. But it does makes me wonder how it will be done on screen. Would Ifemelu (Nyong'o) do a voice-over narration of these blog notes, or will those thoughts be woven in the dialogue (which would be my preference)? Or will that commentary be absent entirely, in favor of the coming-of-age love story which may be considered safer for American audiences to digest? I have to say, I would be disappointed if they omit it entirely because part of what resonates most with Americanah is its cultural commentary, often biting but always truthful. As we're about to welcome Dear White People, seemingly a more satirical look at the cultural divide, to the Hollywood mix, I wonder whether Americanah will strike a similar chord with audiences--despite its different tone. As for the casting, I think Nyong'o is the perfect actress for Ifemelu, and can effortlessly portray both the candor and allure of the character. So much so that I couldn't get her out of my head as I read the book. The only thing is she may have to grow her hair, or wear a wig, especially since hair is a brief yet important cultural point in the story. Also, Ifemelu is described as "overweight" at one point, which of course Nyong'o is not but that's not particularly something that adds to the story. Now I am curious to see who will be cast as Ifemelu's family, and love interests (especially Obinze). Let the fantasy casting begin! For those of you who also read the book, what are your thoughts on the film adaptation and who else would you like to see cast?